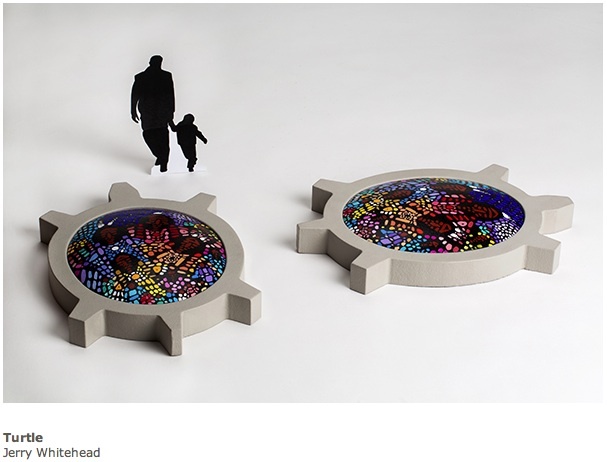 Pehonan is the area in which the Indigenous art park will be located within upper Queen Elizabeth Park and it is the name of Tiffany Shaw-Collinge’s winning piece. 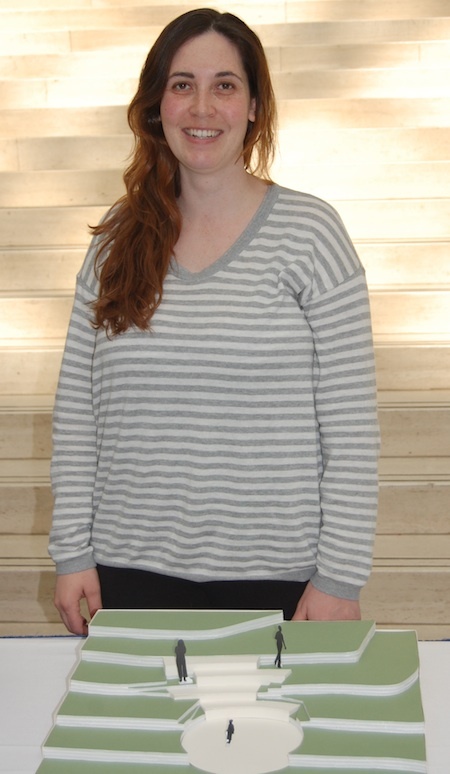 Shaw-Collinge was one of six Indigenous artists – two from Alberta – to have her work selected for Edmonton’s North Saskatchewan River Valley park. 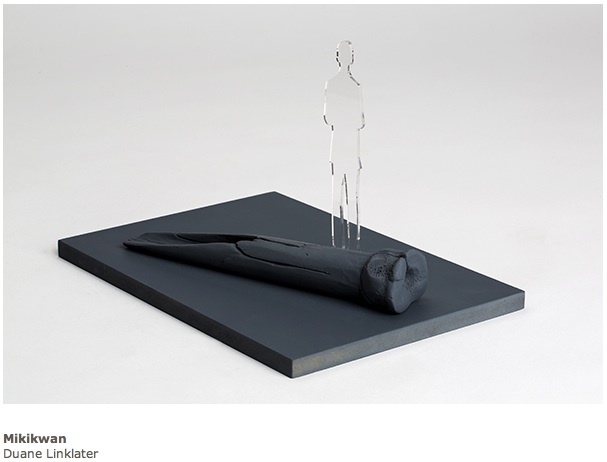 Shaw-Collinge is a Metis artist and architect born in Calgary and raised in Edmonton. She and Amy Malbeuf, a Metis visual artist from Rich Lake, were the two Alberta artists to have their work chosen as symbols of Edmonton’s Indigenous history. “When they named me as one of the artists, I was very surprised. I thought it was more of a subtle work, but I appreciate that they are allowing to give me a spotlight to allow a place for many people to come and gather and reflect on storytelling and artwork and materials,” said Shaw-Collinge. 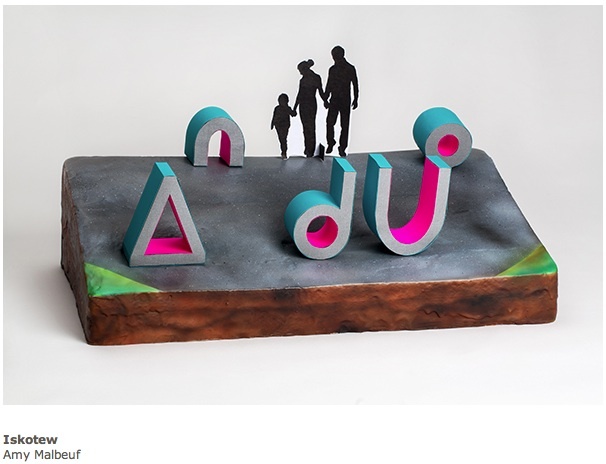 Malbeuf’s piece is entitled Iskatew, and is a sculptural representation of the word fire in Cree syllabics. 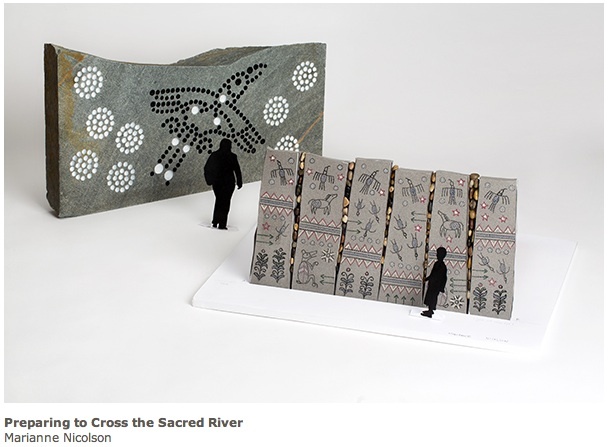 Having Indigenous work displayed in such a public space is a welcomed and important inclusion, say Treaty 6 Grand Chief Tony Alexis and Metis Nation of Alberta President Audrey Poitras. Mayor Don Iveson said continued collaboration between the Indigenous communities and the city “enriched” everyone involved. It also promoted learning, deepened understanding and supported healing. He added that the park was also a way for the city to celebrate as Edmonton is on the cusp of becoming home to the largest urban Aboriginal population in the country. 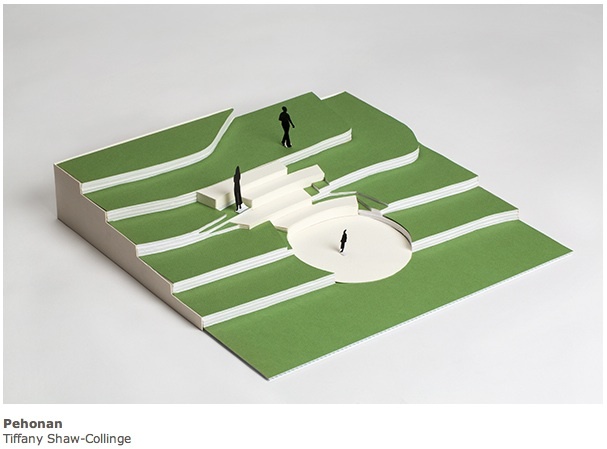 Shaw-Collinge applauds the method used by the city to select the six pieces that will make up the Indigenous art park. A steering committee was formed, led by Christine Sokaymoh Frederick, co-founder and artistic director of Alberta Aboriginal Arts, and consisting of representatives from the city, Edmonton Arts Council, Confederacy of Treaty Six First Nations, Métis Nation of Alberta, Elders and Aboriginal artists and community members. Two workshops took place, the first announcing the project and the second bringing together the 16 shortlisted artists with Indigenous community members. It wasn’t until the second workshop that Shaw-Collinge settled on her submission. “They really focused a lot of their work on engagement and storytelling. I wanted to continue that and pay respect to that,” she said. “Together we have built something that is very strong, that we can all be very, very proud of,” said Frederick. Other artists who were chosen for the park are Duane Linklater, from Moose Cree First Nation, in Ontario; Jerry Whitehead, from James Smith First Nation, in Saskatchewan; Marianne Nicolson, of Scottish and Dzawada’enuxw descent, from British Columbia; and Mary Ann Barkhouse, from the Nimpksih band, Kwakiutl First Nation, in BC. 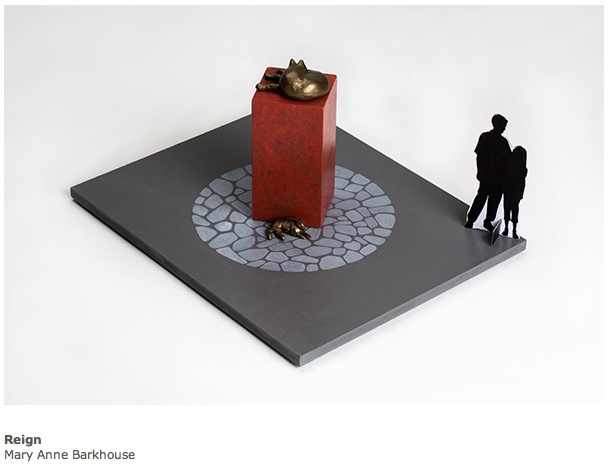 The Indigenous art park, yet to be given an official name, will be unveiled in 2018. It was approved as part of the second phase of a two-phase renewal master plan for Queen Elizabeth Park in 2013.